﻿ North Georgia Cabin Rentals an Ellijay log cabin rental. 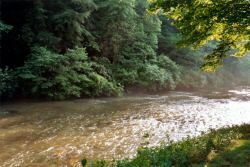 Come rent an Ellijay cabin in the great outdoors of the North Georgia mountains. 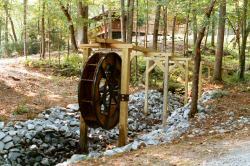 Take a stroll through the woods or go fishing in Mountain Town Creek, a Trophy Trout Stream. Or if you prefer, simply enjoy the scenery and do nothing at all. 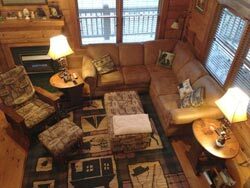 Our Cabin Rentals are located just 10 minutes from Ellijay, Cartecay river, Carters Lake, and White Path Golf Course, and 20 minutes from Amicalola Falls and the beginning of the Appalachian Trail. This is the perfect spot to spend your honeymoon, anniversary, vacation, or any other special occasion. 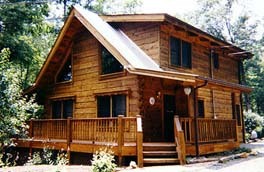 Browse our web site, feel the breeze, smell the fresh air, give us a call to reserve this log cabin rental.